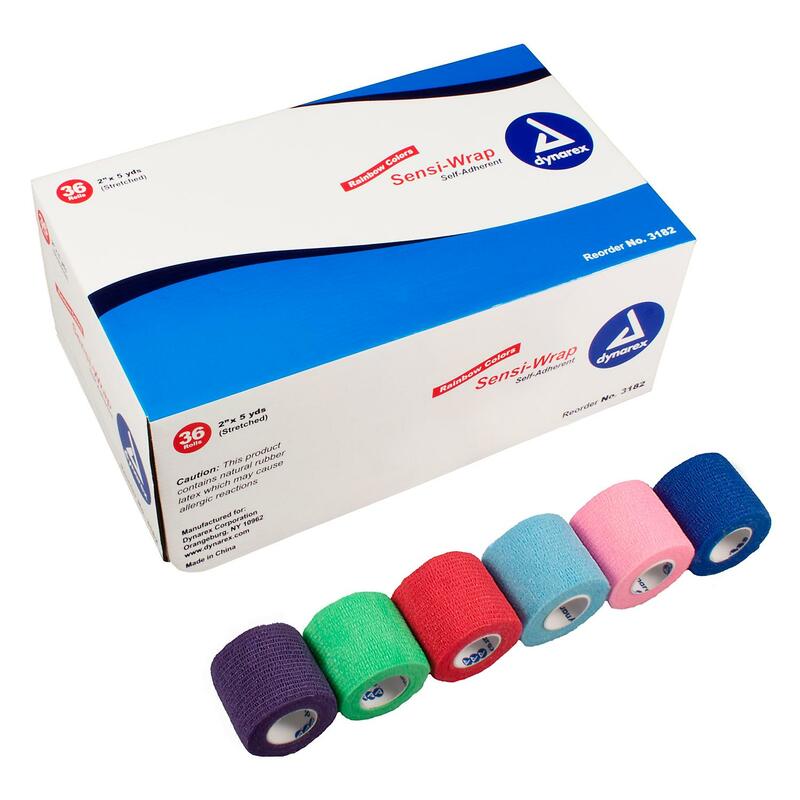 First Aid Supplies - 2" Colour Sensi wrap - Canada Wide Delivery! This elastic first-aid wrap offers great protection and support. It sticks to itself - but not to skin or hair. Offers controlled compression when used to supply support to sprains and strains or to hold dressings. Easy to tear, and easy to reapply. It is lightweight, easy to use, and water resistant. Comparable to Coban. We love this product. No first-aid kit is complete without Sensi-Wrap. Each roll is individually packaged. Comes in dark blue, light blue, green, red, pink or purple. When you order this product, you can specify which colour(s) you want.